Home > STORE > BEDDING > EXO TERRA BIO DRAIN MESH - NANO 8" X 8"
The Exo Terra BioDrain Terrarium Draining Mesh is part of the BioDrain Terrarium Draining System. The non-toxic mesh will keep the underlying Draining Substrate separated from the decorative terrarium top-layer substrate. 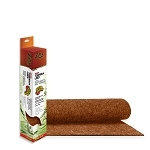 It also allows proper water drainage when used in combination with the BioDrain Terrarium Draining Substrate, as the BioDrain Terrarium Draining Mesh prevents contamination of the water by decorative substrate particles. It is ideal to create water parts and a biological filtration system in the terrarium using the Exo Terra BioDrain Terrarium Draining Substrate. The clean terrarium water can then be circulated in waterfalls, the Exo Terra Rain System or Dripping Plants. 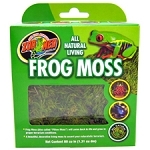 As a decorative terrarium substrate the Exo Terra Terrarium Moss, Jungle Earth, etc. can be used. BioDrain Terrarium Draining Mesh Medium (PT3133) fits Natural Terrarium Medium (PT2604, PT2610, PT2612 & PT2608). 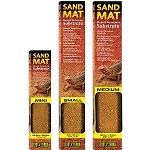 For bigger terrarium surfaces (e.g. Natural Terrarium Large PT2613, PT2614 or PT2609) combine multiple pieces of BioDrain Terrarium Draining Mesh.